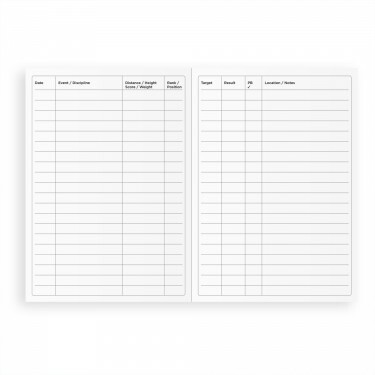 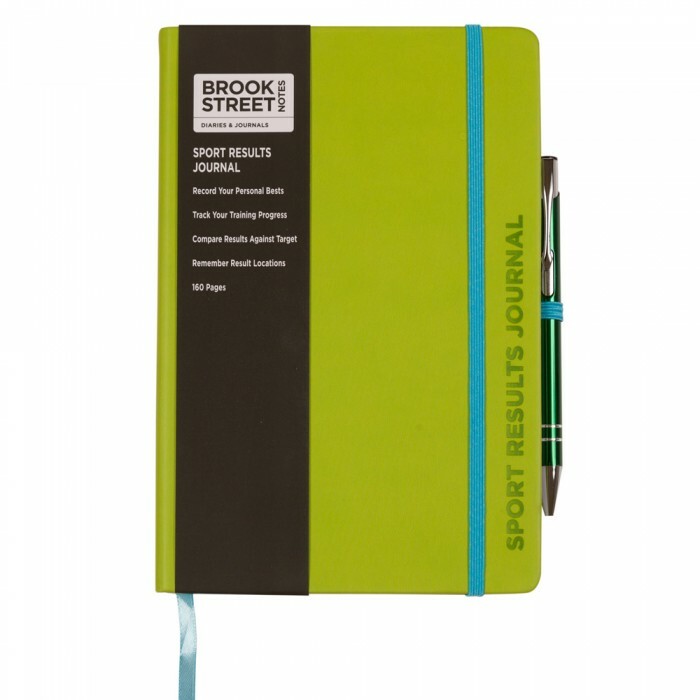 Suitable for most sports, keep track of your training progress. 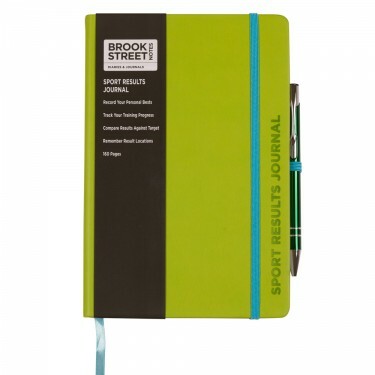 Record your personal bests and compare your results to target. 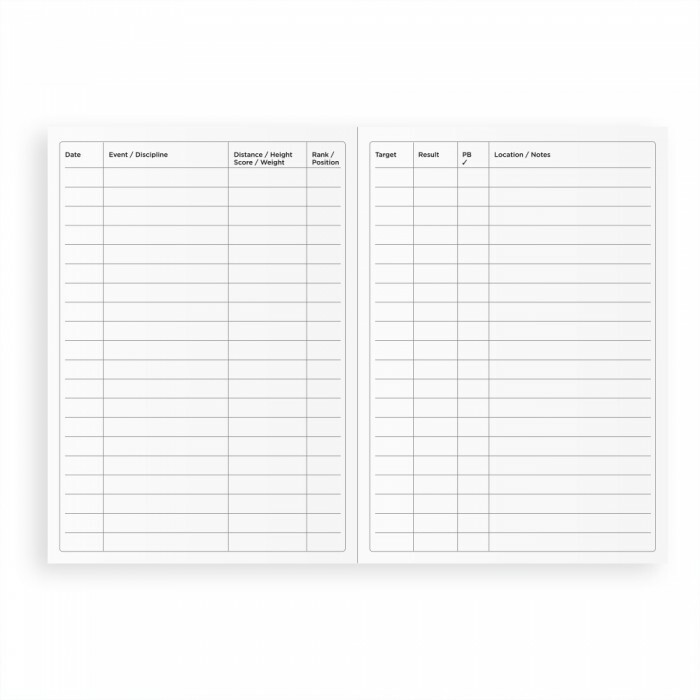 Also record your result locations. 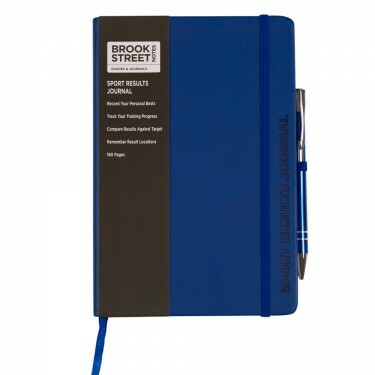 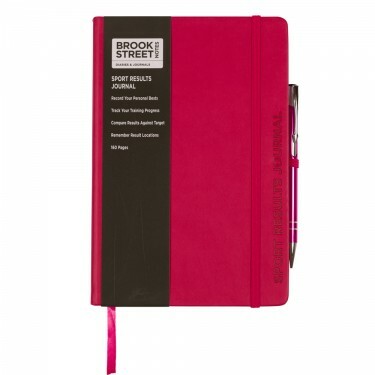 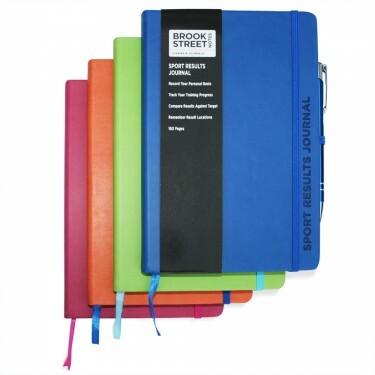 Importantly you can keep this journal in your kit bag without the worry of your mobile device being stolen. 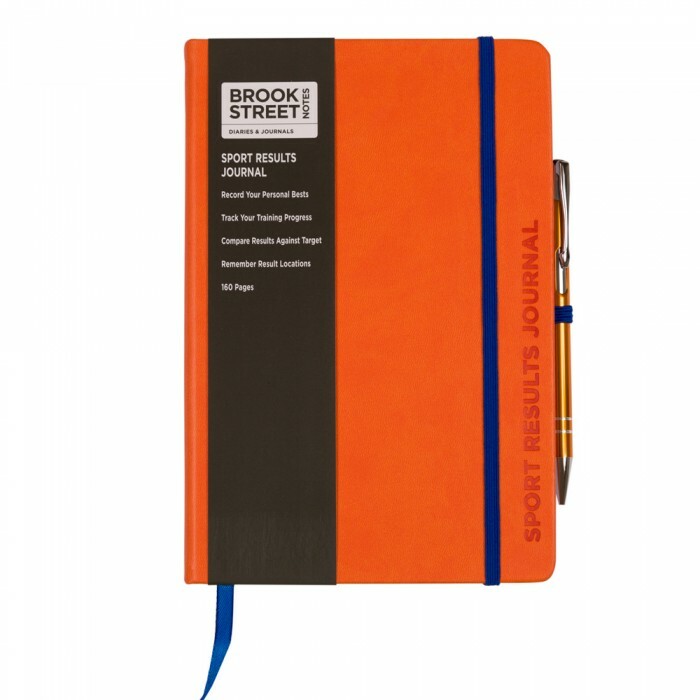 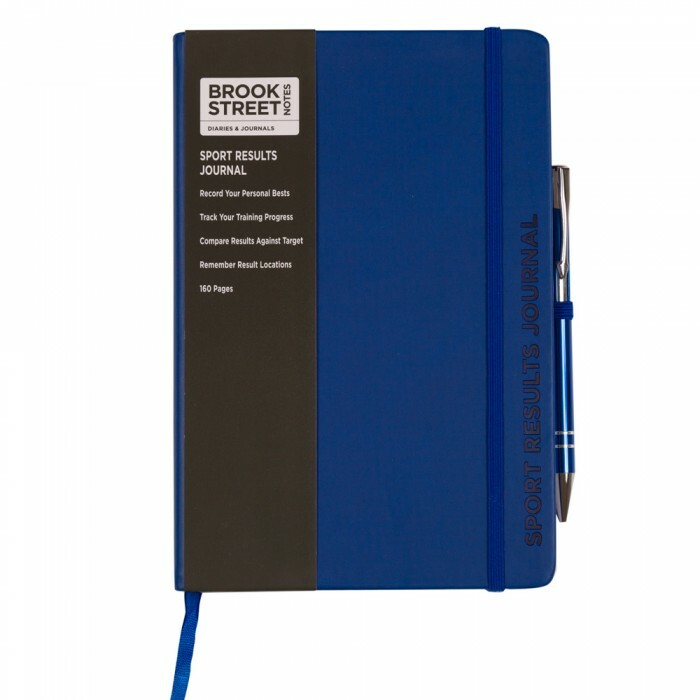 A hardback journal with soft PU leather feel in four vivid colour options (deep blue, lime green, fuchsia pink and bright orange) and in two sizes (A5 & A6). 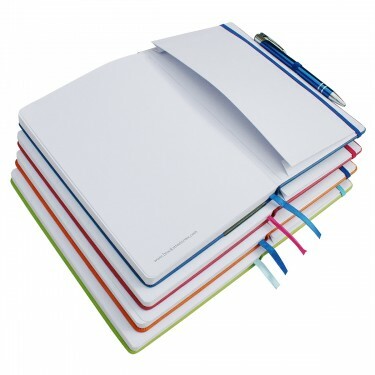 With 160 white printed pages. 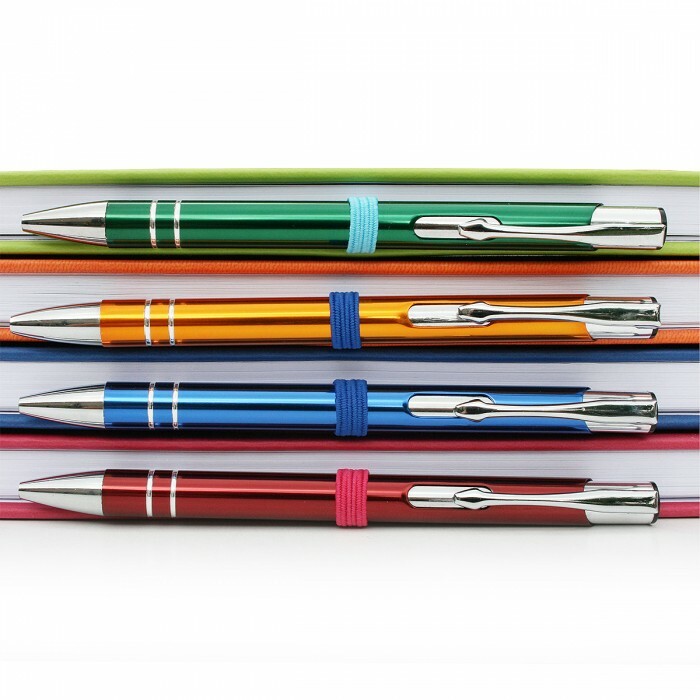 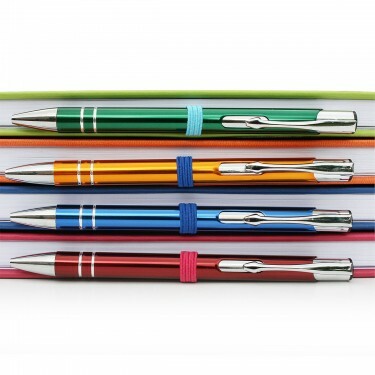 Includes expandable rear inside pocket, ribbon marker, elasticated close and pen holder with colour coded matching styled ball pen.